When planning a Balkans road trip itinerary, it can be difficult to know where to start. The Balkan Peninsula remained for a long time one of the most undiscovered regions in the Southeast of Europe, despite its remarkable beauty and cultural diversity. Very few foreign visitors were venturing to to this area during the Communist Era. It wasn’t until the fall of Communism in Eastern Europe, that people started traveling more to the Balkans. The best way to explore the Balkans is by car. In this post I’ll take you through our 14 day Balkan road trip itinerary. You will have the opportunity to discover some of the most beautiful places in this region. Maribor, Slovenia’s second biggest city, is famous since Middle Ages for producing wine. In fact, the oldest noble-variety vine in the world can be found in Maribor. It’s more than 400 years old and still bearing fruits nowadays. The town has many historic buildings, including Europe’s second oldest synagogue and a church built in the 14th century. There are many reasons to visit the Balkan Peninsula and seeing gorgeous scenery is one of them. On our second day we took a beautiful day trip to Lake Bled from Ljubljana. 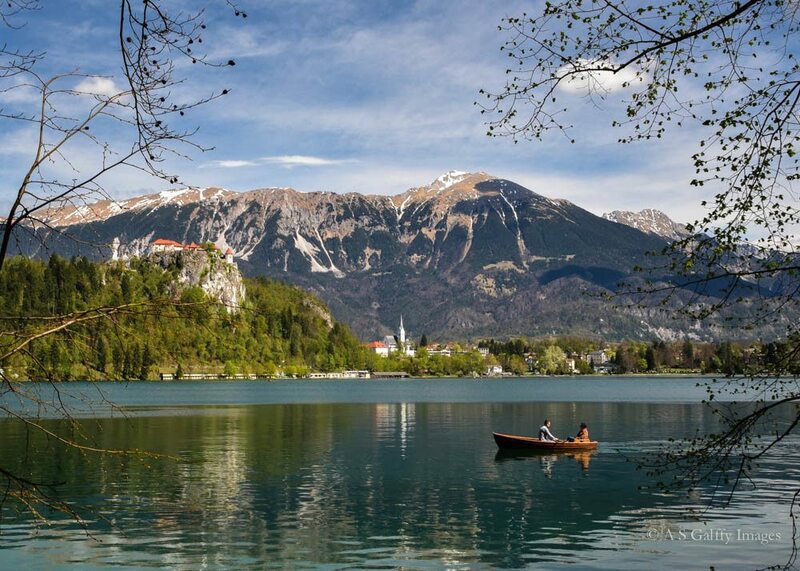 The picture perfect town of Lake Bled should be on any Slovenia road trip itinerary. Lake Bled is one of the most popular travel destinations in Slovenia and can be visited year round. If you decide to spend a few days here, you’ll find plenty to do, like hiking, mountain biking, and canoeing. But if you only have a few hours to check it out, that will work too. 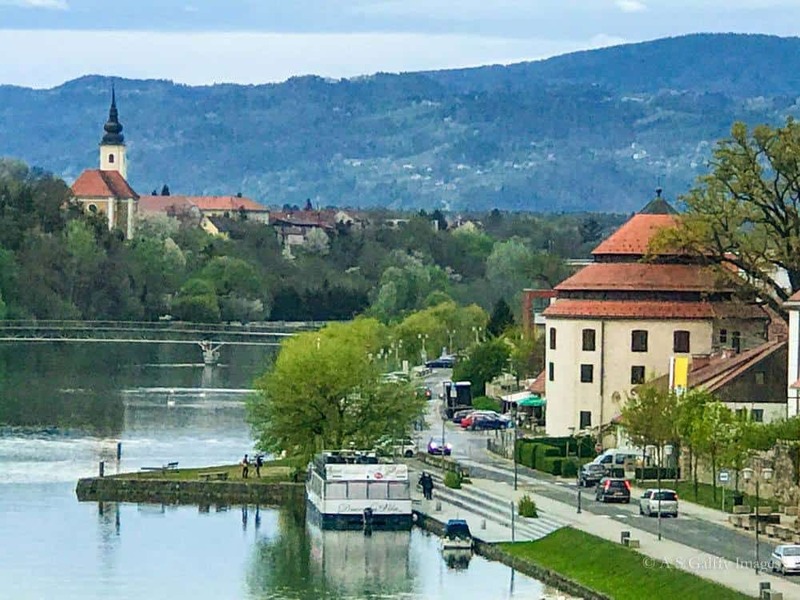 You can walk around the lake, visit the fairytale medieval castle perched up high, overlooking the calm waters, take a cruise to the small island that is home to a beautiful church, and maybe even rent a kayak. What I can assure you of is that no matter how much time you will spend here, you won’t get bored. Ljubljana, the compact and beautiful capital of Slovenia, is just a short drive away from Lake Bled. 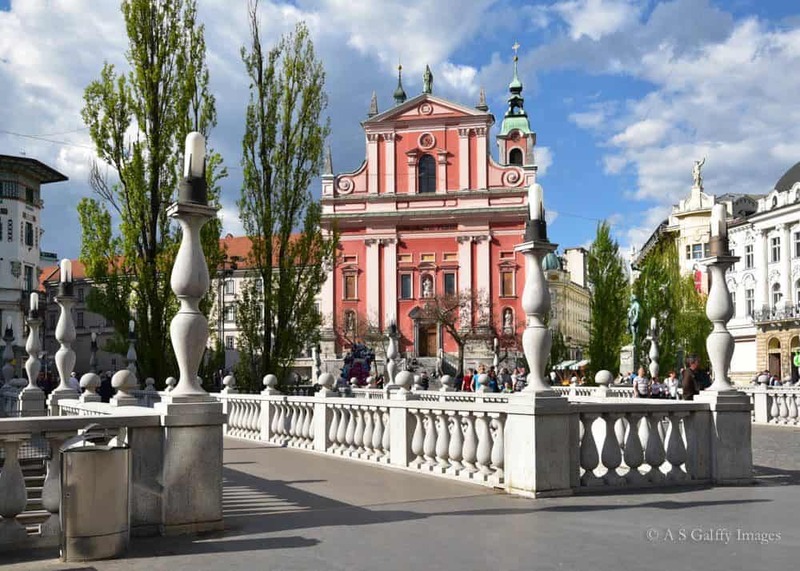 A day or two will give you plenty of time to see the city’s top attractions, which are concentrated in a small pedestrian area around the beautiful Ljubljanica River. Ljubljana is quite small and very easy to explore. If you want to experience some great views, take the glass funicular up to Ljubljana Castle, where you can also dine in two of the city’s top restaurants. Just beneath the castle lies the Old Town, with its beautiful 19th-century wooden shop fronts, quiet courtyards and cobblestone streets. Here you can stroll or take a boat ride along the Ljubljanica river, cross the Triple Bridge (a group of three individually unique bridges clustered together), or relax in one of the lively riverside cafés and bars. Visiting Kobarid is definitely a great choice for a day trip if you are in Slovenia. 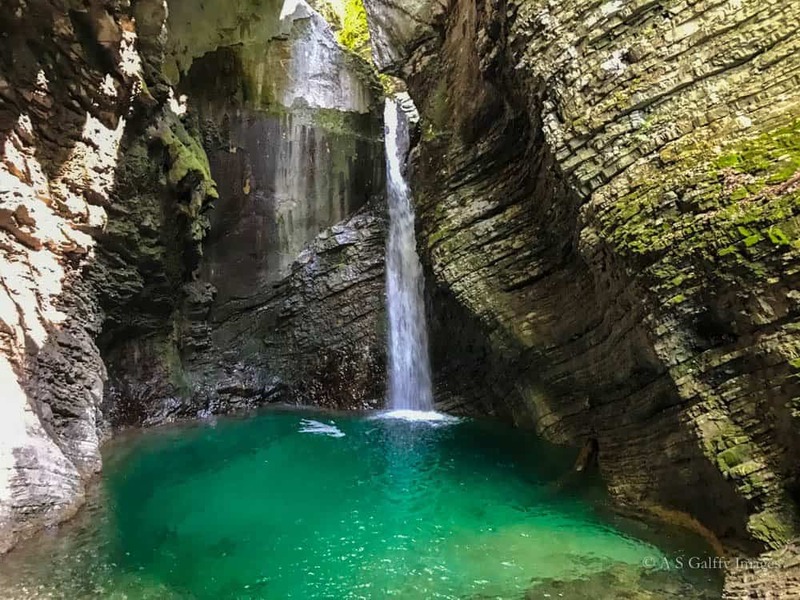 There are some really wonderful attractions in the area, like the beautiful Soca river, the world renowned World War I Museum in Kobarid, and the photogenic Kozjak waterfall (approximately 30 minutes walk from the main road in Kobarid), famous for its underground chamber with a pool of emerald water. Also, if you have some money to spare, you can try Ana Roš’s cooking at her Hiša Franko restaurant in Kobarid. The newly crowned World’s Best Female Chef will make sure you are impressed. But if you find yourself in Slovenia and want to try some good traditional food at more reasonable prices, be sure to check Lisa’s recommendations about Slovenian food. If you like archeology, you will love Pula! If you take a shovel and start digging just about anywhere in Pula you’ll most likely discover some ancient ruins. 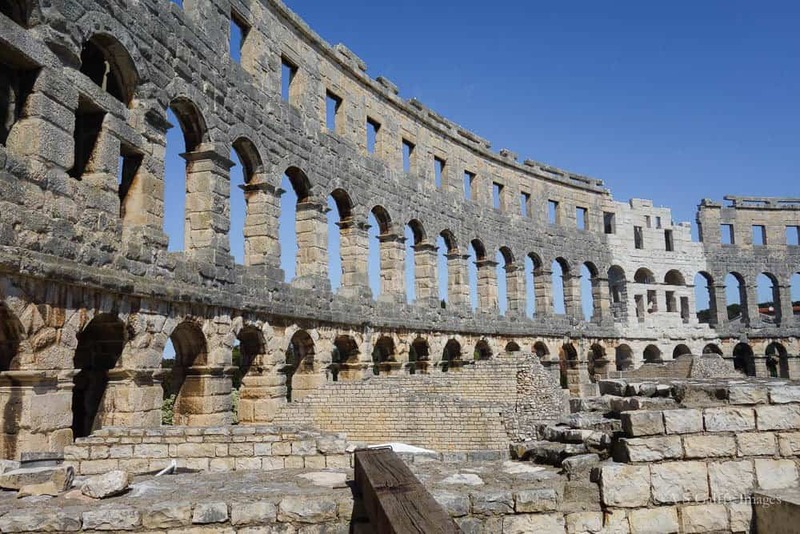 The city is home to the best Roman ruins in Croatia and to one of the largest and best preserved Roman amphitheaters in the world. And Roman ruins are not the only thing that will make you fall in love with Pula. This nice town at the tip of the Istrian peninsula has some of the most stunning pebble beaches in Croatia, with crystal clear waters and beautiful coves. 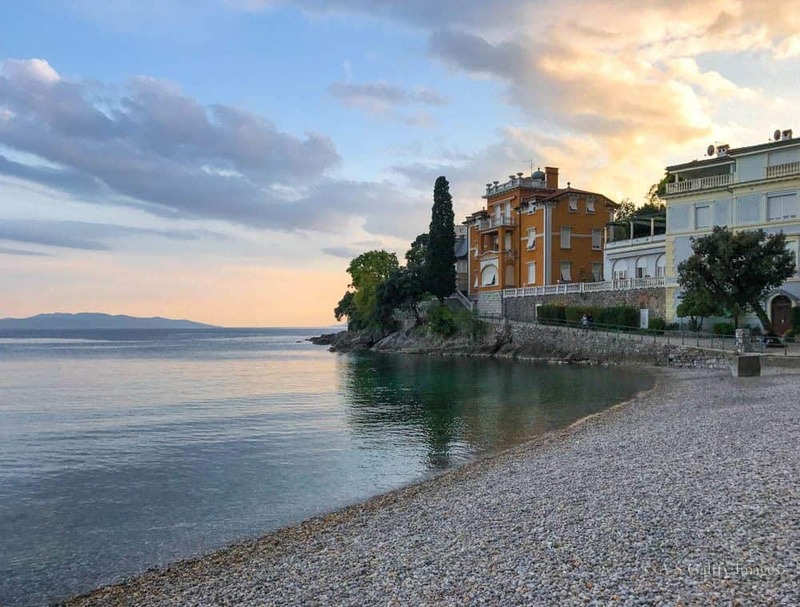 This beautiful coastal town on the Adriatic Sea marked with belle-époque villas and boutique hotels was a fashionable resort since the 19th century. Its most popular attractions is the Lungomare promenade, that curves along the coastline, offering views of the town and neighboring islands. One day will give you plenty of time to walk the 12 kilometers promenade. You can admire the famous Maiden With The Seagull statue and visit Villa Angiolina and its beautifully manicured park. In the evening you can stop for dinner in the tranquil fishing village of Volosko. 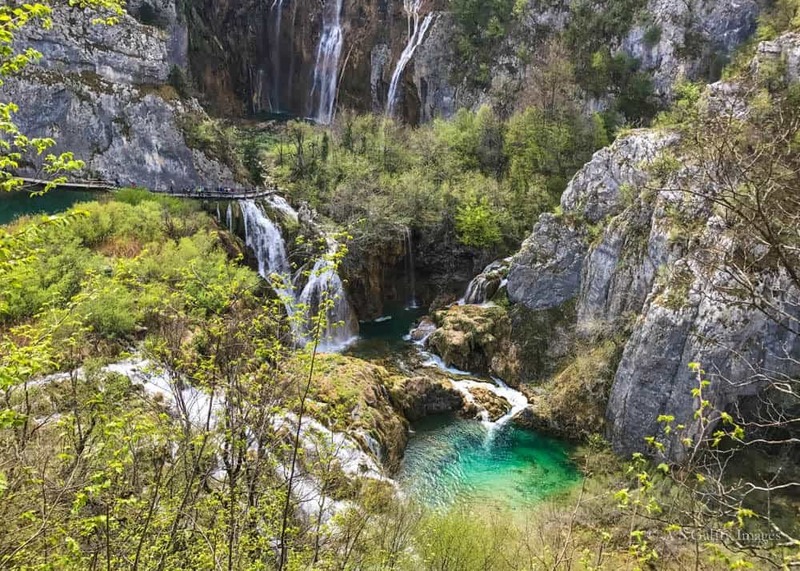 As cliché as this may sound, not visiting Plitvice if you are in Croatia would be a crime. No picture or movie can do justice to Plitvice Lakes. There is a reason why this national park was declared a UNESCO World Heritage Site. Do not plan this just as a short stop on your way towards coast, but rather as s full day excursion. Plitvice consists of a series of 16 terraced lakes joined by waterfalls, extending into a limestone canyon. The mineral-rich waters flowing over the limestone for thousands of years have created gorgeous waterfalls, caves and coves along the way. The park is laced by miles of wooden walks with great viewpoints. From here you can admire panoramic views of the waterfalls and the green water of the lakes. Tip: Avoid the high season and organized tours at all cost if you want to really enjoy the surreal beauty of Plitvice Lakes. Set on a small island and surrounded by medieval walls, Trogir will steal your heart right from the start. Its maze-like narrow streets lined up with tiny souvenir shops, ice cream parlors and unassuming restaurants have an irresistible charm. 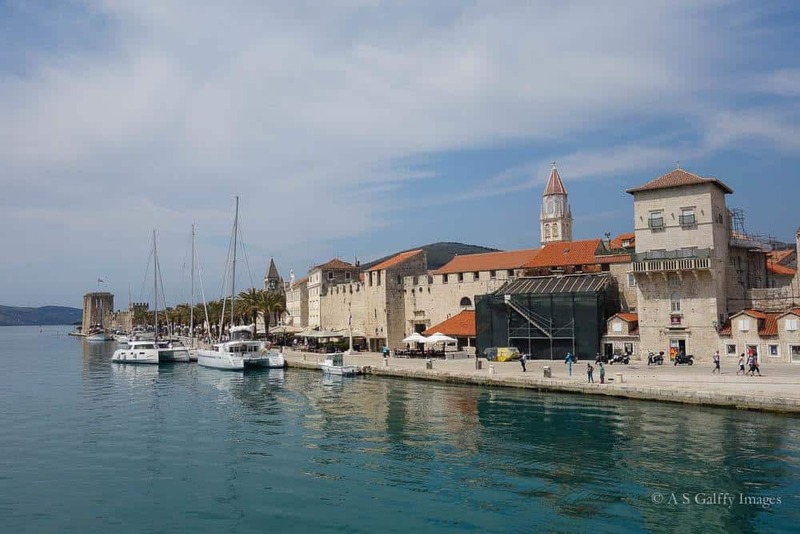 Trogir is only a 25 minute drive from Split and is quite small, so a day trip there is an ideal way to see it. The old town still has many intact buildings from the 13th and 14th centuries. For magnificent views over the entire town and the surrounding sea, climb up the town’s beautiful clock tower. Split is one of those must-see cities in Croatia. The “Mediterranean Flower,” as it is also called, is jam-packed with history, beautiful architecture and a walkable coastline that runs the all along the city. Many visitors to Split arrive here by boat. One of the great ways to experience the city is by taking a Croatia sailing tour that will also take you to Dubrovnik. This is a great alternative to renting a car and driving in this area. There is a great of things to do in Split, but the city’s main attraction is Diocletian’s Palace, the core upon which the city grew. Built between 298 and 305 AD, the Roman Emperor’s palace complex is a small city in itself, with a maze of marble alleys and buildings containing shops, cafes and bars. 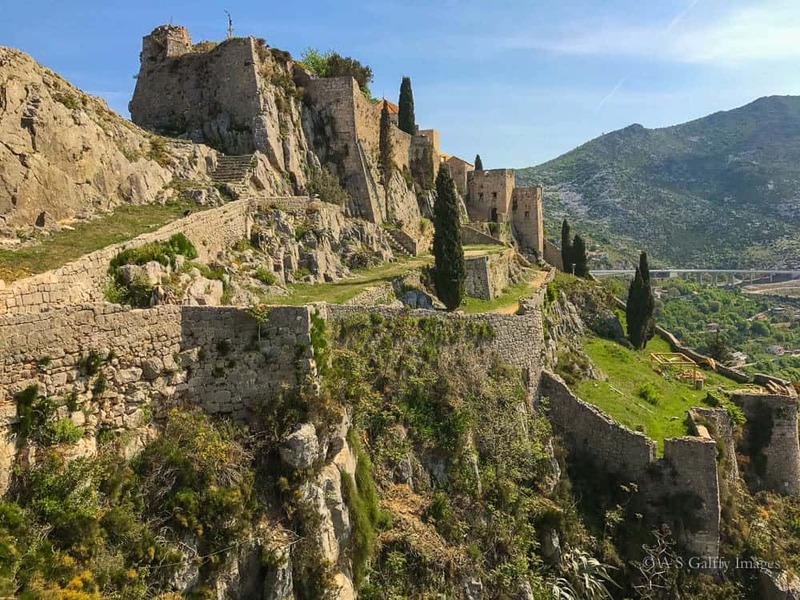 Just half an hour drive from Split, you can visit the majestic Klis Fortress. 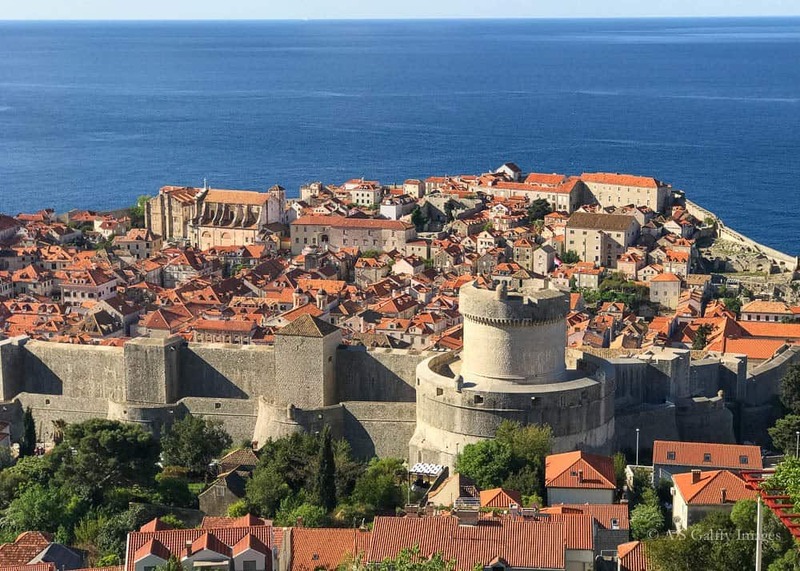 Aside from its more recent celebrity as a filming location for the Game of Thrones, this incredible fortification was built to guard Western Europe against the Ottoman Turks. Klis Fortress was the barricade that protected everything that defines Europe today: its history, culture and religion. Dubrovnik was the highlight of our Balkans road trip. It is, in my opinion, one of the most beautiful medieval towns on Earth. That’s partly due to its fantastic location on the shore of the Adriatic Sea. Add to the mix the red roof tiles, the fortress and defensive walls, the limestone streets, and you’ll have the perfect fairy tale tourist destination. Two days in Dubrovnik will give you enough time to walk the 2 km loop of the City Walls; visit the Dubrovnik Cathedral, the Franciscan Monastery and the Rector’s Palace; walk around the Old Town and browse through the little boutiques and art galleries;, hike up to Fort Lovrijenac (also know as St. Lawrence Fortress) and admire the City Walls from a distance; take the cable car up to Mount Srđ (at 405 meters) to visit Fort Imperial and enjoy the panoramic views of the city. The Bay of Kotor is considered Montenegro’s most beautiful spot and once you see it you’ll understand why. As you drive from Dubrovnik, the narrow winding road around the bay will take you by the village of Perast. If you have time, you should stop and visit it. But if you want to get to Kotor quicker, you can take the ferry between Lepetane and Kamenari (takes about 5 mins, costs €4 per car and runs every 15–30 mins). Kotor is the ideal base if you are planning to visit the coast of Montenegro. Kotor’s Old Town is lovely, although not as polished as its neighbors in Croatia. Right above the Old Town, the Fortress of Kotor will offer the most stunning views to those who dare climb its 1355 steps. 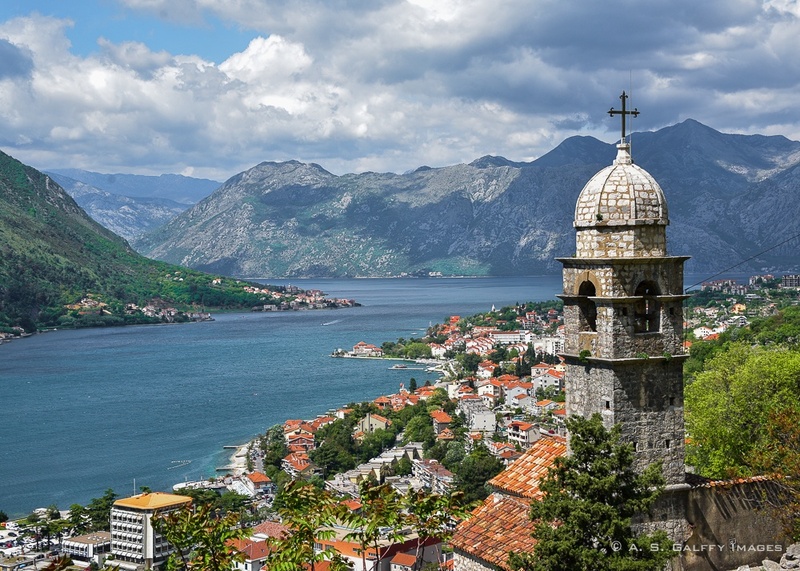 The steep and strenuous one-hour hike is the only place from where you can get a bird’s eye view of Kotor and also take the beautiful “wish-you-were-here” image above. Looking down upon Kotor’s terra-cotta rooftops and the entire bay from that height is worth every drop of sweat! Budva can’t beat Kotor’s attractiveness, but Kotor can’t beat Budva’s location –right on the water. Surrounded by the city walls, Budva’s old town treasures 2500 years of history. Walking through the Citadel and admiring the sweeping views from its walls is perhaps the best thing you can do in Budva. There is also a small library within the walls of the Citadel. 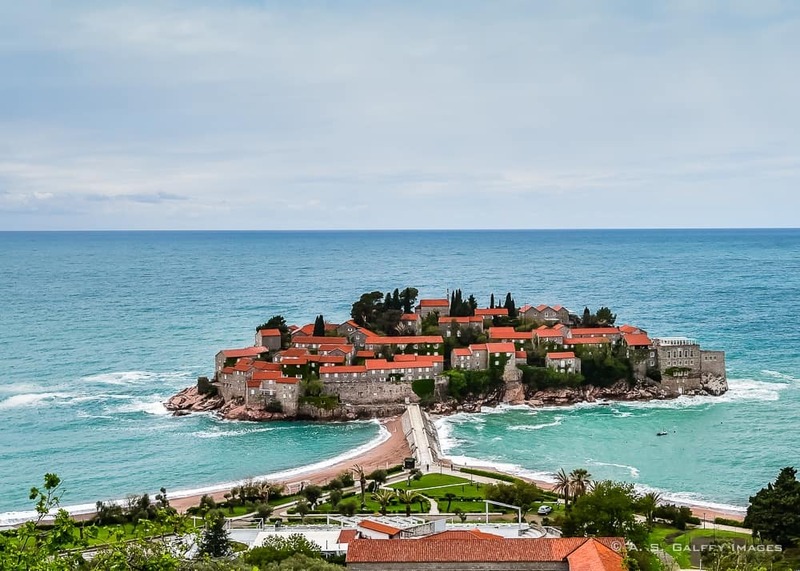 Just down the coast from Budva, Sveti Stefan has a reputation for being stunningly beautiful. Unfortunately, for most people the fortified island village will only remain a distant image. The island is owned by the luxurious Aman Resort and is actually closed to the public. So unless you are ready to pay €800 per night to rent a room at the resort, you’ll just have to settle for a quick snapshot from the road. Zadar was our last stop on the return from Montenegro. Although it’s the second largest city in Dalmatia, Zadar is actually very easy to explore. That’s in part due to its many pedestrian-friendly streets, but also to the fact that most of its attractions are concentrated in the Old Town area. One day is not enough seemed way too short to see all the beautiful sites in Zadar, but if that’s all you have you can still cover a lot of territory. Don’t miss the Sea Organ, the Greeting to the Sun, the Forum, Zadar Cathedral, People’s Square and the Five Wells Square. Two weeks may seem like enough time for a road trip, but when you travel to the Balkans and visit so many fascinating places, time goes by in a flash. I hope our trip along the Adriatic Coast inspired you to create your own Balkan road trip itinerary. 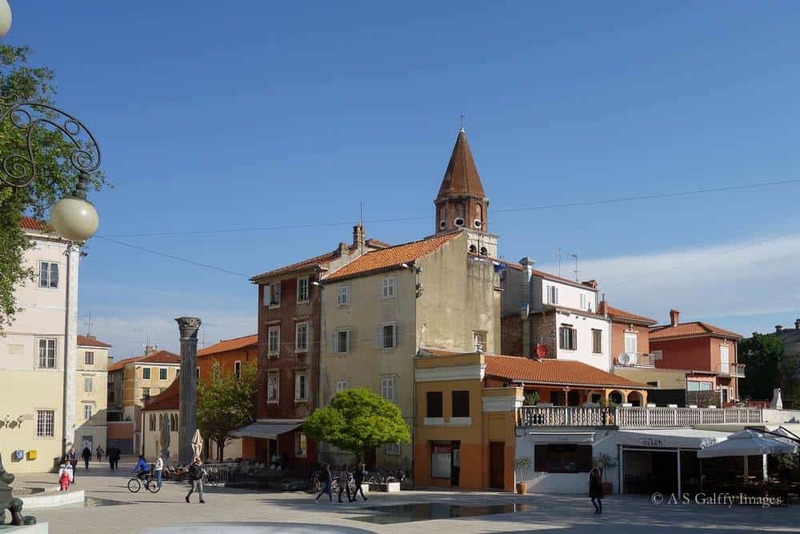 One Day in Zadar – How Much Can You Really See? I am a huge fan of Balkans. And, last year I spent a month travelling through these countries. I loved all the places, people and food on the way. I further continued to visit Bosnia &amp; Herzegovina, Serbia and Bulgaria. I wish I could have spent more time in the maze-like narrow streets of Trogir. Loved Split. 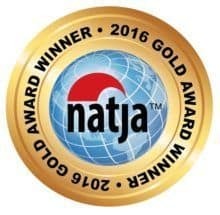 Your post is pretty informative and perfect for anyone planning to do the Balkans trip for the first time. Woah! This is such a long trip but actually it has been our bucket list to enjoy more of Croatia. Saving your post for future reference. We hope to visit soon. Wow, this indeed sounds like an epic trip! Kozjak waterfall is a great find. It looks stunning! Croatia as a country had always fascinated me. It just looks like a paradise no one tells you about! It still is an undiscovered region for many travelers as more popular European destinations overshadow the beauty that Balkans is. The 14 days long itinerary shared by you tempts me to pack my bags and embark on this trip now. There are so many interesting stops en route. This is absolutely brilliant, what an experience. Loved the photos. This entire region of the world remains undiscovered by me, although I have been to other places in Europe. I adore the changing sceneries and the perfect mix between nature and that old-world-charm. Thank you for the itinerary and reigniting my wish to explore the Balkans. This is such a lovely itinerary covering the landscape, history and art. I was planning a trip to Balkans and could not decide which places should I visit. The photographs look amazing. I would definitely visit Pula. The photograph captured all my imagination and now I am just thinking about when can I plan to do the Balkan trip. Did you self drive all through the trip? That is a great itinerary and very doable in 2 weeks. I have always wanted to travel to Lake Bled and cruise to the small island with the beautiful church on it, I have seen so many photos. I loved trying out local cuisine when I travel and would definitely seek out Ana Ros's cooking. I have heard that Plitvice National Park is beautiful and well worth a visit. I loved your photos. Awesome, beautiful post! My husband and I have been discussing the possibility of planning a trip to this part of the world soon. 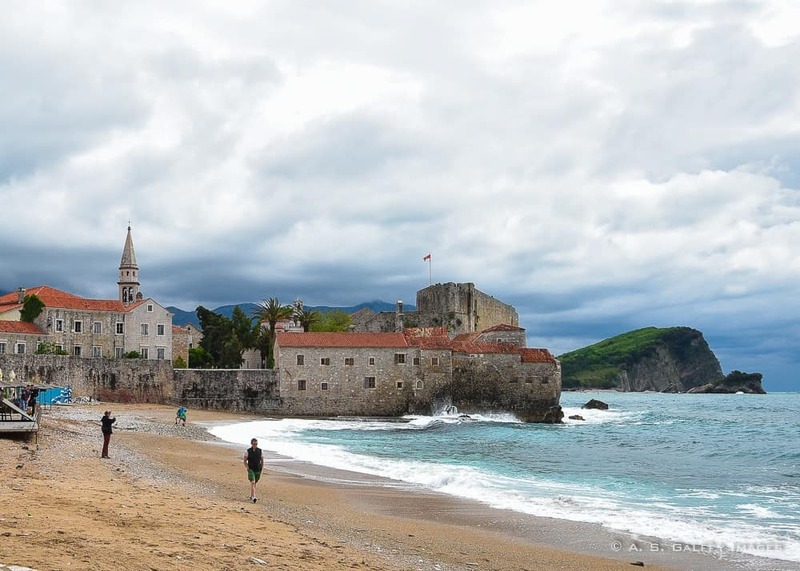 Croatia and Slovenia are must-sees for us, but we would love Montenegero too. Knowing us, we would probably choose to take a road trip. Plitvice especially caught my attention. How stunning! I am going to make a note of it for when we get to go. What an awesome itinerary. I must admit I have not visited any of these places even though I am originally from Europe, but hopefully I can do something similar to this in the future. I especially want to visit Croatia as it seems like a beautiful place with a lot of history and nature. I can see why Dubrovnik was the highlight of your trip. Lake Bled simply looks beautiful! I am gutted I still haven't been having missed out on a trip with friends last year. I have some travels on the cards for later this year so hopefully, I can squeeze it into the itinerary. This is a truly awesome itinerary! I am considering to visit some Balkan countries so you gave me an excellent idea! I agree, I think Dubrovnik is a stunning place! I wish I had more time when I was there, I would have loved to do a road trip. Kotor looks absolutely magical! I really love this area. A roadtrip is such a great way to see it all and experience more intimately the areas you're traveling through. I could definitely go back and spend more time in Ljubliana. Such a beautiful place. This looks like a wonderful route! I would love to do this, but hopefully take more time - it seems you did a lot in 2 weeks,! Thank you for the wanderlust Itinerary and pictures. I have bookmarked this for my guide for my visit hopefully next year. The beauty here is amazing. Lake Bled caught my eye right away, yet then your photos kept sharing more beauty. This would be a dream road trip come true. Thanks for sharing this beautiful part of the world with all of us. Hope you'll have a wonderful trip in Eastern Europe, Siddhartha. Planning is a nightmare and I have been wanting to visit this area for a long time -- Thank You for sharing your work. Pinning this one right now! I love Croatia and could easily spend 14 days just travelling there. Everywhere you've mentioned in Croatia that I have visited I could endorse and Pula is already on my wish list. I rather enjoyed Osiek and Slavonski Brod too - inland and more Austro Hungarian than the Dalmatian Coast. 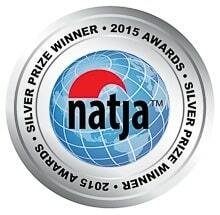 Now I just need to visit Slovenia and Montenegro too and see some of the places you recommend! 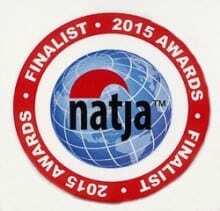 We used to live in Northern Italy and did a road trip down the entire Croatian coast, Montenegro, Albania and Bosnia. It was an awesome trip! We were totally unimpressed with Plitvice and I'd replace Pula with Rovinj, which is far more beautiful and has a lot more to offer than Pula. But it was an awesome road trip to take and even in the midst of summer, no where other than Dubrovnik was all that crowded. Interesting that you weren't impressed with Plitvice. You most likely visited the park during the busy season, which indeed makes it way less attractive. As for Rovingj, we haven't visited it this time. I'd be curious to see how it compares to Pula. Yea, it's kind of difficult to keep the kids in the car for too long. Still, the car is the most convenient means of transportation when you travel with small children. Hahaha, I don't believe you envy me, Rob. You guys take so wonderful trips! Thank you, Victoria. Hope you could get some useful information from this article, in case you decide to take this road trip. This scenery is really beautiful and I bet most of it wasn't very crowded. I would love to do this trip! if we are roadtripping i try to do 2 nights in each place, and limit our one-night stops. And I try to drive no more than 4 hours in a day. it doesn't always work, but it is the ideal. it's easier to mange in europe, where distances are less than in the U.S. I agree. Besides, you'll always find wonderful little towns to visit in Europe, no matter where you stop. It looks a beautiful part of the world. As you say planning is so important and knowing how much you can handle on a holiday is important for that trip to be a success. The post made me wanna visit all of these places right now! I loved it and I wish to see Dubrovnik one day, everybody seems to fall in love with it. As well, I'm interest in Kotor &amp; Montenegro. 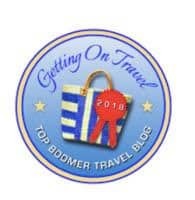 Thank you for sharing your itinerary and planning, it is definitely useful and as well a good read! Excellent itinerary! I've been wanting to visit these countries for a long time and some friends of mine tried to arrange a travel excursion but it never happened. I'm going to show them your post and see if we can't use it to work on a future trip again. Thanks for your suggestions! Thank you,Jo. Two weeks for these 3 countries gave us barely enough time to see what's out there,but not enough time to enjoy a little relaxation. We plan to return soon. What an epic trip you guys had! They all look beautiful! I'd love to do this when we have enough time. 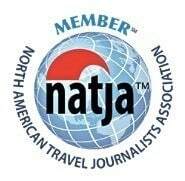 W'll be in Split and Dubrovnik next month for cruise stops. Thanks for a great preview! Your photos as always are stunning and really bring the beautiful scenery to life. I love the new look of your site too. June is beautiful in Croatia. I can hardly wait to read about your trip to Split and Dubrovnik, Mary. Thank you, Anissa. Hope you'll get to see these places soon. That's stunning. Sending to a friend headed that way. This is a part of Europe that I would love to explore and haven't at all. You've put together a great, detailed itinerary that I will definitely be saving. Looks like you had a beautiful trip! Thanks, Ava. Hope you'll get to visit the Balkans someday. This part of Europe was under communism for a long time but now has come a long way. We'll be hitting up several of these places in a few weeks for our honeymoon, and some we have visited! Definitely want to go visit Pula! Love the new site!!!! Thanks, Lolo. In know you visited some parts of Croatia. I envy you for going back. I miss it already. I like your new theme - very classy! Thanks, Lyn. I like it too. Great article. We were in Croatia last August so totally agree about avoiding Plitvice in high season....was a disaster! Thank you, Nigel. August must be terribly busy in Croatia. I can appreciate all the hard work that goes into planning an exciting road trip. Your 14-day excursion looks like an exercise in how to do it right. I am impressed with how much you got to do. Truth is that it was a little tiring, but worthwhile. Beautiful pictures!! Am contemplating a small road trip with the kids this summer. 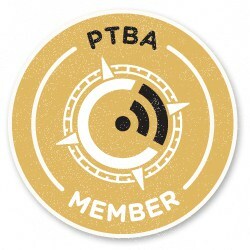 When i see this it makes me want to do it even more :) thank you! Depending on how old your kids are, this will surely be an exciting trip. Lots of history and beautiful nature. This is certainly a very beautiful part of the world that I am totally unfamiliar with. Your excellent photography, as usual, makes me want to go! 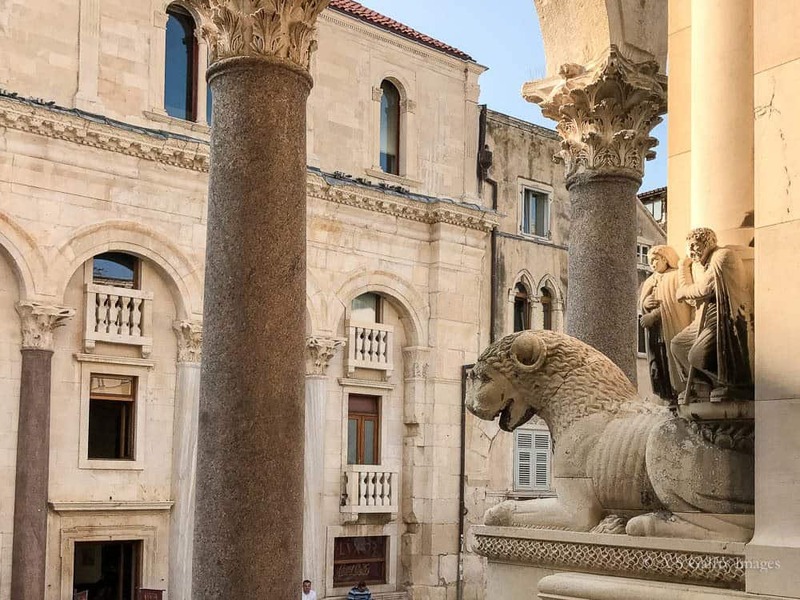 It still seems like quite an ambitious itinerary, but you were able to hit the highlights of this section of the Adriatic coast and hopefully didn't come back too exhausted! I appreciate the amount of planning that went into your trip, since I also like to do reading and research before a trip. Thank you for your comment, Debbie. It was more tiring for my husband who had to do all the driving. The Adriatic Coast is absolutely stunning, you should go.